Lady who knows nothing: My food is taking entirely too long!! Server: I’m sorry, it’s just that well done steaks take longer than 5 minutes to prepare. Lady who knows nothing: This is unacceptable! I work in the restaurant industry! I know how things work! Server: Great! 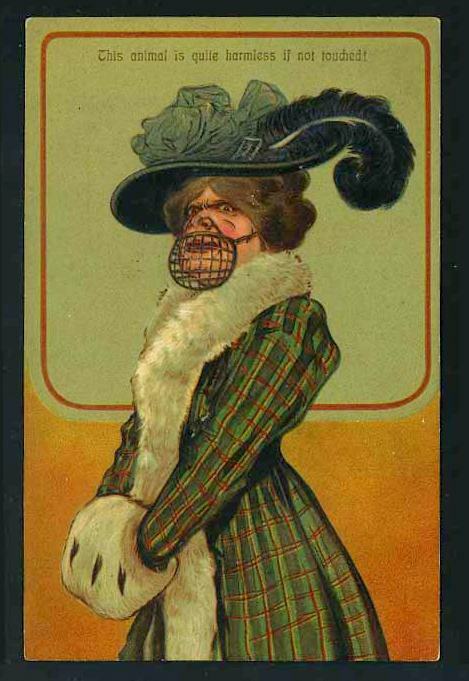 Then you will surely understand why I’m placing this muzzle over your mouth. Ugh! It’s already bad enough that you’re complaining, but the fact that you say “I’m in the industry”, makes it even worse. You of all people should know better than to complain and that tells me you obviously have no clue about how the “industry” works. Now please step into my canon so I can help you back to the parking lot. Yeah, she should’ve said she is ITB instead. She’s probably a Sysco salesperson. That’s working “in the restaurant industry”. Step into my cannon…. LOVE it! (Wish I’d written it!) I always say it’s amazing how many folks I wait on who “own their own restaurants” . I always assume they are liars because if they actually owned their own restaurants I doubt they would have the time to dine out on a busy Saturday night. LOL. Great blog! I’ve nominated you for a Liebster award!